Sterling Children's Books, 9781454921417, 40pp. 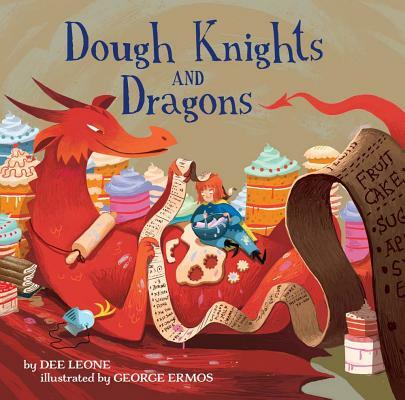 In Dough Knights and Dragons, a curious knight and an amiable dragon meet serendipitously, and instantly bond over their shared love of baking. But the friends are filled with sadness when, according to the law, the two must duel one another. Can the unlikely pair find a way to evade the law, save their friendship, and spread good throughout the land? Kids will devour this scrumptiously clever tale. Dee Leone is the author of Bizz and Buzz Make Honey Buns (Grosset & Dunlap). Many of her stories, poems, plays, and activity puzzles have appeared in children's magazines. Dee taught at the elementary level in several states and was also a gifted program aide. Her interests include photography, traveling, and scrapbooking. Dee lives in San Diego. George Ermos studied illustration at the University of Lincoln. He lives in the UK.